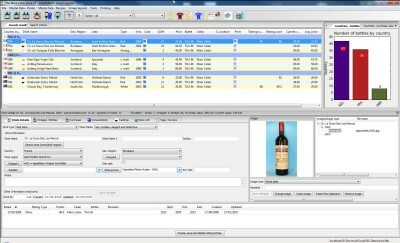 The Wine Cellar Book 1.5 is other software developed by Werner F. Bruhin. 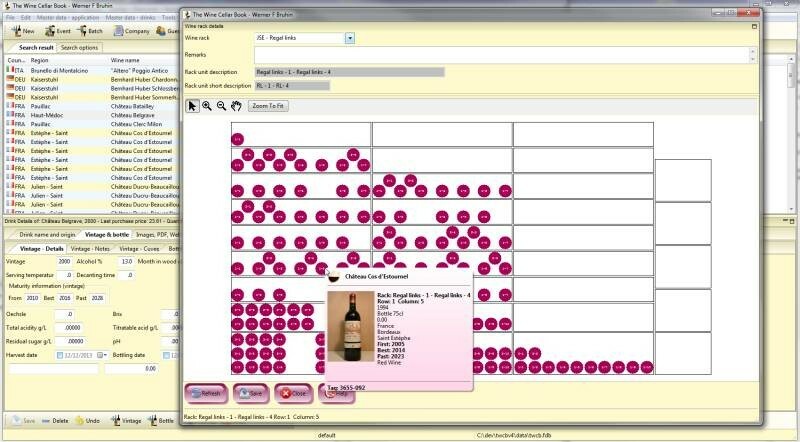 A software application to manage your private wine cellar. Enter and track extensive information about your wines and other beverage types, such as country of origin, geographical regions, wine regions, AOC, cepage, vintage, price, wine grower, remarks, tasting notes, quantity on hand, and ratings done by others. The Wine Cellar Book keeps a detailed history of purchases, consumptions, price paid, currency, supplier and free form remarks. This desktop software is shareware, which means you can download and use The Wine Cellar Book 1.5 for free during the trial period (usually for 30 days). At the expiration of the period you will have to buy the other product for $30.00. The Wine Cellar Book 1.5 is available at regnow and Werner F. Bruhin website. The Wine Cellar Book 1.5 supports different languages (including ). It works with Windows Vista. Latest The Wine Cellar Book 1.5 does not contain any spyware and/or advertise modules, allowing installing it with no worries concerning valuable information loss. Our website has thoroughly tested desktop product The Wine Cellar Book 1.5, written the review and uploaded installation file (13966K) to our fast server. Downloading The Wine Cellar Book 1.5 will take several minutes if you use fast ADSL connection.